FoodWorks has provided a staff member to assist in the production of the Comprehensive Agricultural Development Master Plan (CAMP) for South Sudan, a JICA funded project. 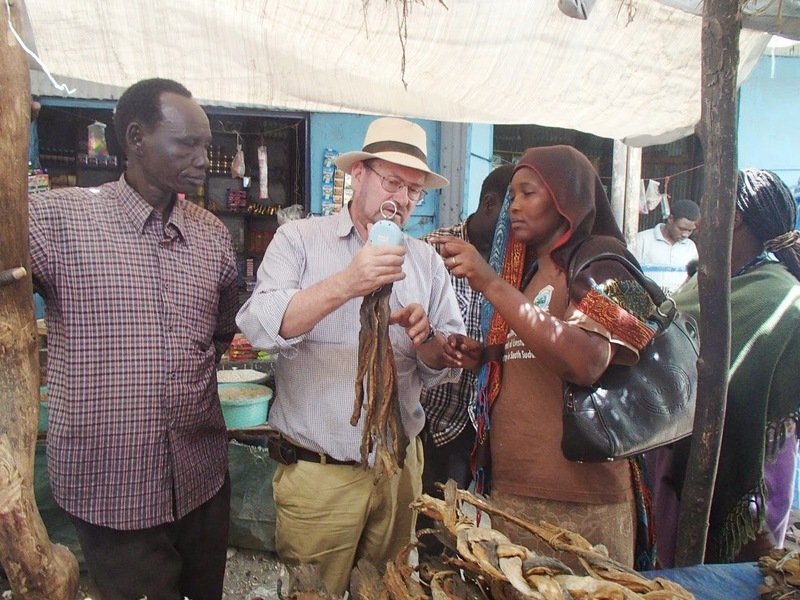 Mr Robert Lindley, the Foodworks Senior Managing Partner and Fisheries Specialist (click here to see Robert's profile) worked with the CAMP team in 2012 and 2013 to assist the team to produce the Situation Analysis Report and then the Interim Report of CAMP. After a short delay due to the outbreak of civil war in South Sudan, in June 2014 Mr Lindley is again returning to Africa, initially based in Kampala, accompanied by Dr. Jerry Turnbull, a Foodworks Senior Associate Partner and livestock specialist, who is also joining CAMP in 2014. The two Foodworks staff will be cooperating with the South Sudan CAMP Technical Teams and the other JICA funded CAMP Technical Experts to produce the Investment Plan which is to be one of the main components of the Master Plan, to be produced by March 2015. 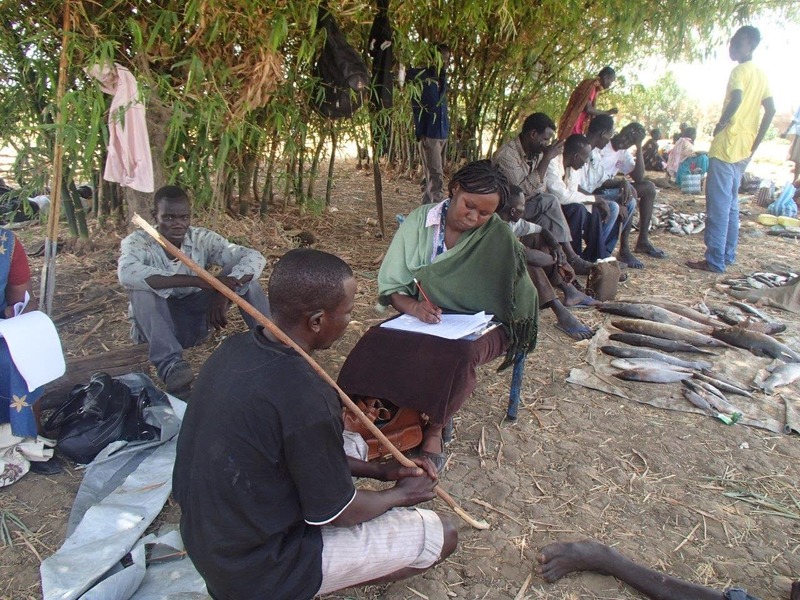 A significant feature of CAMP is that the whole process is led by the Government of South Sudan, through a Steering Committee comprised of senior members of government, and a Technical Team (TT), which has undertaken the day to day activities of the project; assisted by the Technical Experts provided under the JICA assistance. In addition “Focal Points” have been appointed in each of the states of South Sudan and serve as the links between the project and the States’ governments and rural stakeholders. Ownership of the outputs of the project by the South Sudan Government, States and others is thus assured..
Women fishing using cover pots. Kuom Payam, near Aweil. Western Bahr-el-Gazal State. · Consumption of fish is approximately 17kg/year per capita. This figure in itself is not surprising, being comparable to other countries with similar abundant inland fish resources in Africa. What is surprising is that the “official” figures, internally, from FAO, and elsewhere give consumption of less than 2kg/year/capita. · To provide this amount of fish the catch must be in the order of 140,000 tonnes/year. Much higher than any other estimates. · There are at least 220,000 people engaged in fishing activity in the country with at least 1.7 million people living in households directly relying on fisheries for livelihood, food security or employment. Again this is significantly higher than previously thought. · Potential yields are unknown with any accuracy, and no system is in place to measure potential, so it is essential to introduce fisheries co-management systems based on the “precautionary approach”, and “ecosystems approach”. It is also very urgent to strengthen the National and States’ Governments capacity to manage. All these are very important conclusions because they not only emphasise the importance of fisheries in the national economy and for food security and nutrition, but also highlight the difficulties and challenges in management of the fish resources in a sustainable manner for the future. For the Interim Report at the end of 2013, (of which the Situation Analysis is an Annex) the Fisheries Technical Team, advised by Mr Lindley, outlined two differing 25 year scenarios which may occur in fisheries in South Sudan, with, and without, wise management of the capture fisheries. 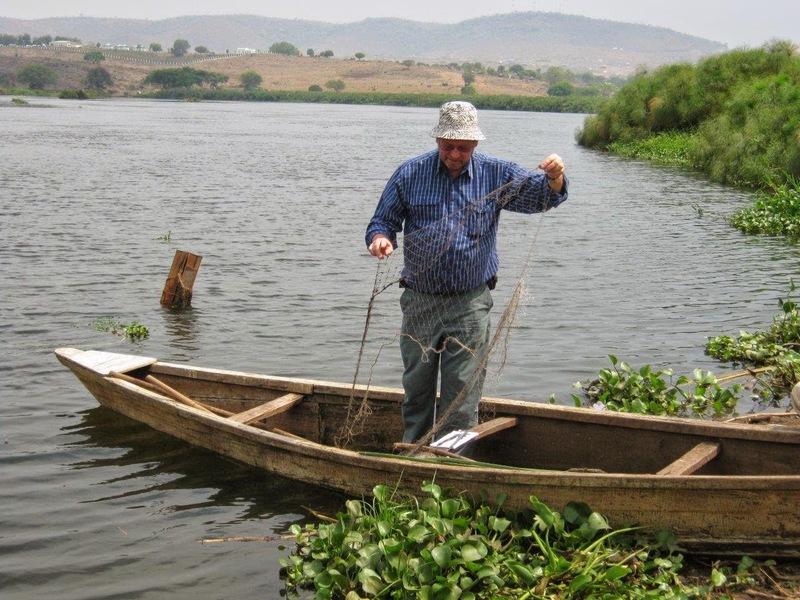 These showed that 120,000 tonnes of potential production from fisheries and aquaculture would be lost if proper management of the resources was not effected and as a result serious overfishing occurred Examples from other African fisheries were used to illustrate the pitfalls of failing to adequate control the rise in effort and subsequent overfishing in inland fisheries. 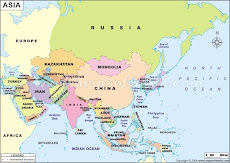 In 2012 and 2013 the project was implemented by the International Development Corporation of Japan (IDCJ) and the JIN Corporation. In early 2014 the JIN Corporation will take over the management of the project. Foodworks looks forward to a long and fruitful co-operation with the JIN Corporation on CAMP and other projects in the future.